Sterling silver double hoop earrings. 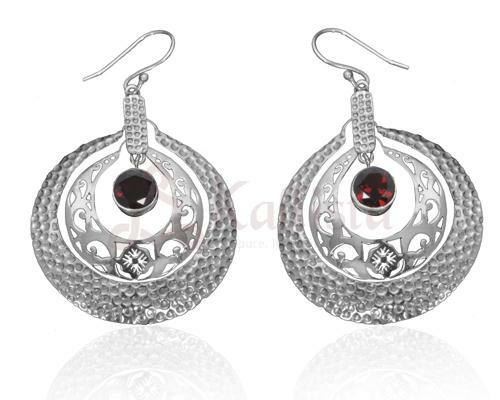 Cutwork design on one hoop & hammered texure over the other hoop.Garnet stone in the centre. Sterling silver double hoop earrings. Cutwork design on one hoop & hammered texure over the other hoop. Garnet stone in the centre.